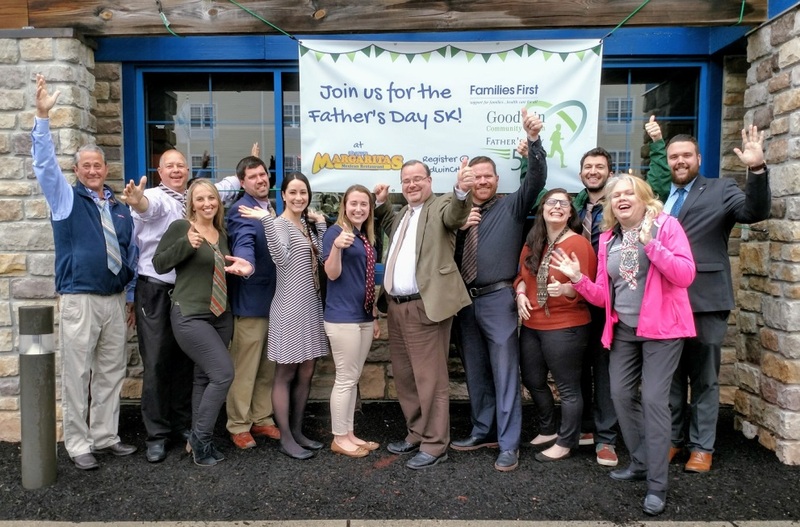 Dover, NH, June 12, 2018 – Runners and walkers of all ages and abilities are invited to celebrate fatherhood at the 9th Annual Father’s Day 5K at Margaritas this Sunday, June 17, 2018. This family-friendly race is presented by Digital Prospectors and Dover Emergency Room, a campus of Portsmouth Regional Hospital. Proceeds from the event help all living in the Greater Strafford and Rockingham County areas gain access to quality health care through Goodwin Community Health and Families First Health & Support Center. The Father’s Day 5K is a proud member of the Dover Race Series and takes place on a USATF-certified course, complete with margaritas-style food and fiesta after the race. New this year, the Families First Mobile Bus that serves the seacoast homeless population in multiple seacoast area mobile health clinics will be at the event and open for tours. Runners and walkers can register online at Active.com through Wednesday, June 13th. Advance registration is $20 for adults and $5 for children ages twelve and under. Same-day registration is available beginning at 8:00 a.m. for $25. The race starts at 9:00 a.m. All participants are encouraged to wear a necktie to honor dads and those special father figures everywhere. The top male and female runners will win a $50 gift certificate to Runner’s Alley. And $20 gift certificates to Philbrick’s Sports will go to the top males and females in each of the twelve age divisions: 14 and under, 15-19, 20-24, 25-29, 30-34, 35-39, 40-44, 45-49, 50-55, 55-59, 60-69, and 70 plus. Digital Prospectors and Dover Emergency Room, a campus of Portsmouth Regional Hospital, are this year’s presenting sponsors. Goodwin Community Health and Families First Health & Support Center are community health and family resource centers serving the greater Seacoast region of New Hampshire and Southern Maine. They provide general medical care for people of all ages, dental care, prenatal care, counseling, substance misuse treatment, parenting classes, family programs, home visiting and family programs, and mobile health care for the homeless. The two organizations merged in 2018, forming one of New Hampshire’s largest community health centers, serving almost 18,000 local adults and children, many of them uninsured, underinsured or lacking access to affordable, quality health care. They operate centers in Somersworth, Portsmouth and Seabrook, NH, as well as mobile health clinics in multiple Seacoast locations. For more information, visit GoodwinCH.org and FamiliesFirstSeacoast.org. For more information on the Father’s Day 5K visit www.GoodwinCH.org or www.doverraceseries.com. For 5K questions, please contact Elizabeth Clemence at eclemence@goodwinch.org.